This is a free pastel art tutorial by Tricia from HodgePodge. This is a very easy pastel to paint! It can be done successfully by even the youngest student because it is comprised of mostly circles! 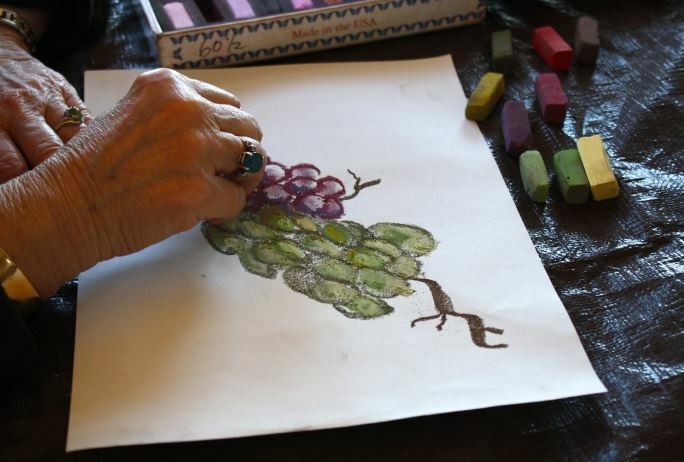 Start your painting by drawing two separate bunches of grapes. Grapes usually start out with a larger cluster at the top of the bunch and taper down to just one grape at the bottom. The key is to try and make the grapes as transparent as possible. 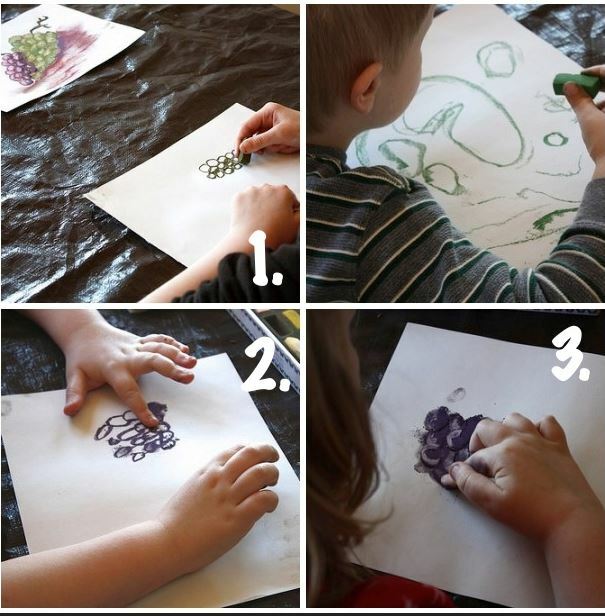 Use your dark green to draw the grapes and then take your finger and smudge the color over most of the grape surface. Add lighter and lighter green color until you have a satisfactory shade of green. Take your cream or palest pink pastel and put a stroke of “light” at the top of each grape…curve it to emphasize the roundness of the fruit. The same procedure goes for the purple grapes. Start dark and add layers of lighter and lighter purples and violets and a bit of dark red pastels. Finish off with a crooked stem at the top of the bunch…and there you have it! Good enough to eat! 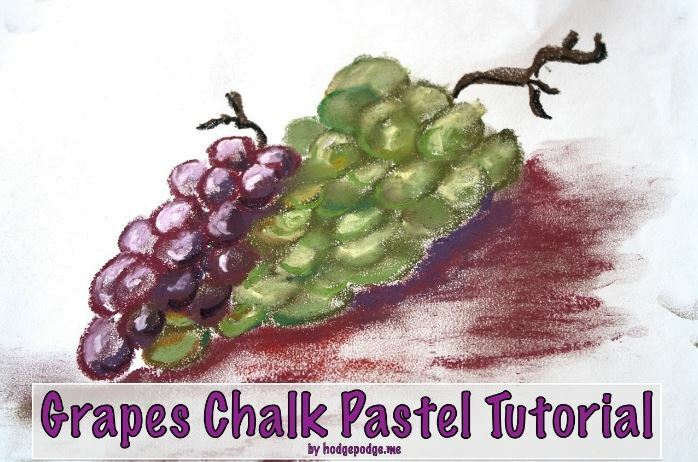 We also offer 50+ free chalk pastel and acrylic tutorials on our site. If you prefer an easy to browse format, we have a year’s worth of chalk pastel tutorials in ebook form. The tutorials are easily viewed on computer, laptops and portable devices such as iPads. Head over to Hodgepodge and download your free Baseball and Bat Chalk Pastel today. Subscribers will find it at the bottom of the subscription feed. Tricia Hodges faces a daily dose of chaos homeschooling five children from preschool to high school. 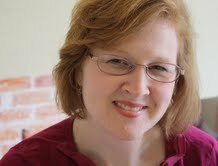 She is an author of art tutorials and cookbooks and shares helpful habits for the road home at her trio of Southern Hodgepodge sites. She and her husband are authors and owners of Curriculum Choice and Habits for a Happy Home. Tricia’s mother, Lucia Hames, aka Nana, teaches art lessons to her children – and they share those times in ebook form and online. We LOVE Nana’s pastels! 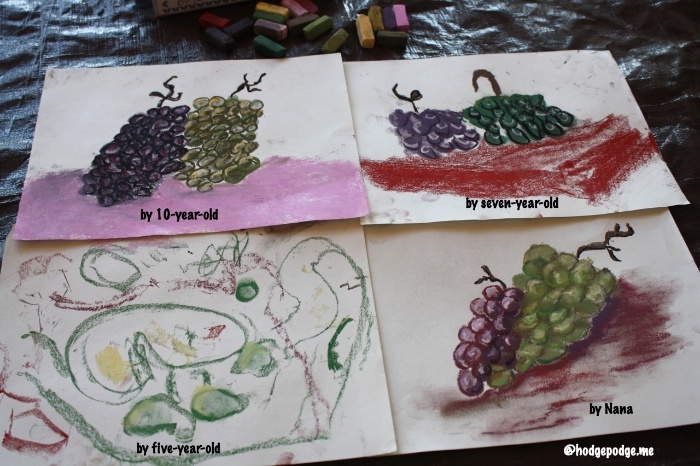 Can’t wait to make the grapes and so excited for the upcoming artist series! Thank you, Tricia! Thank you Heidi! Many thanks to Jamerrill for the visit to Free Homeschool Deals today! 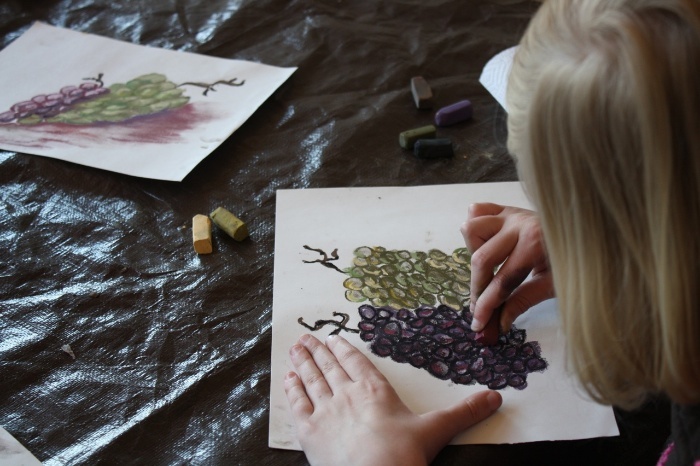 I hope this lesson will encourage families to add art to their days – and to see how FUN and simple it is. Just short lessons build a love of art.